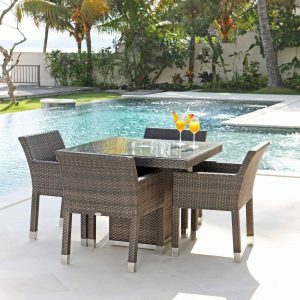 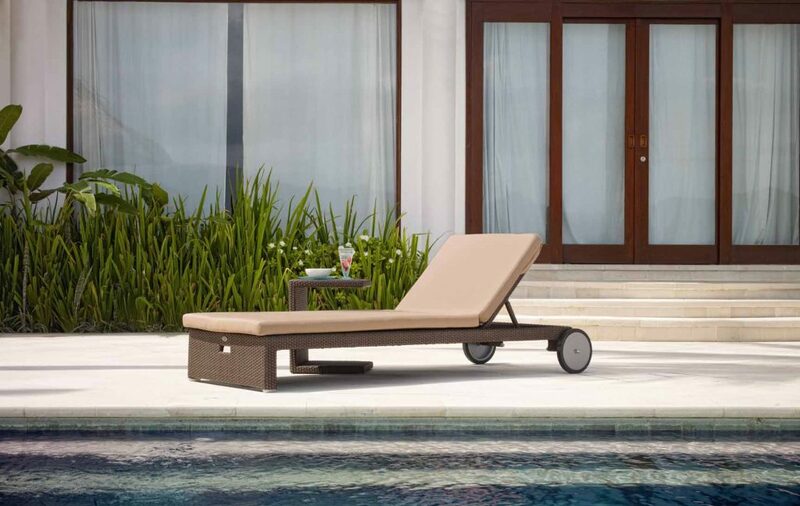 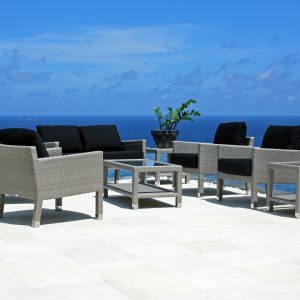 Miami Breeze luxury lounger and matching side table set. 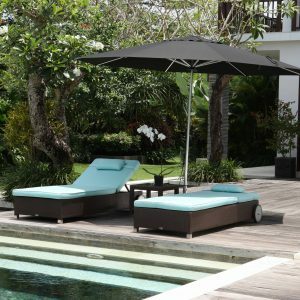 Finished: Volcano Brown. 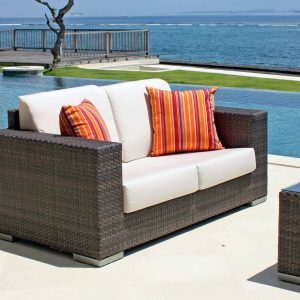 Cushion: Cushion fabric choice available of NATURAL, CANVAS & TAUPE. 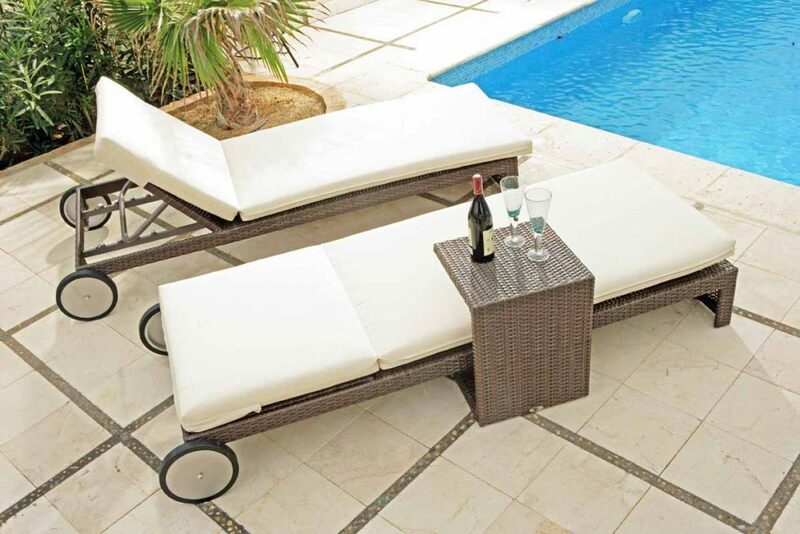 Set consist of 2 x Lounger & 1 x side table. 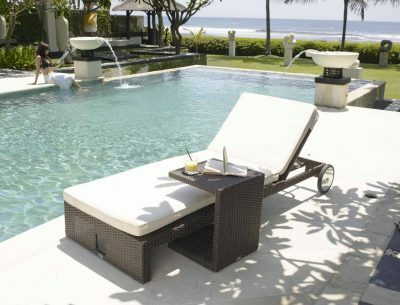 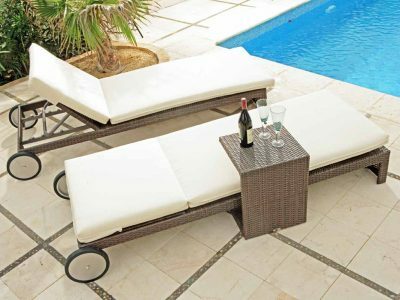 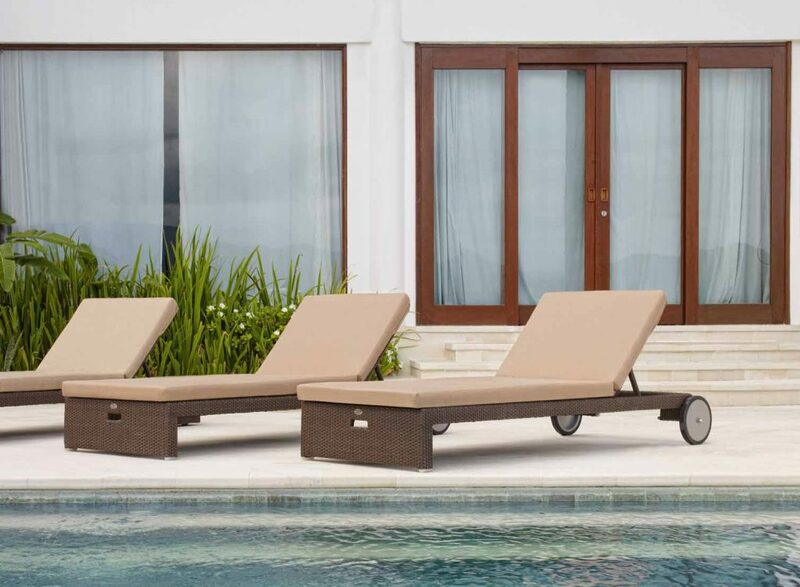 Set consist of 4 x Lounger & 2 x side table.